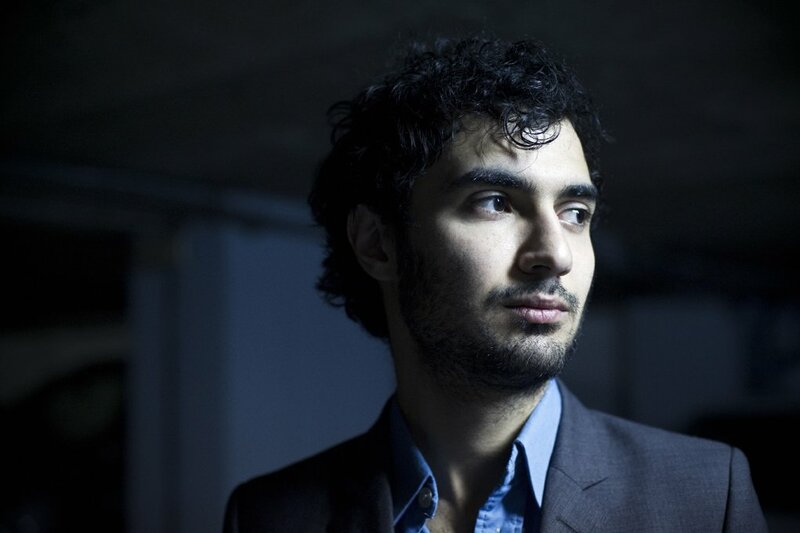 Having been an avid fan of Tigran Hamasyan’s unique compositional style and ascended virtuosic piano playing, I was especially thrilled to hear that he was playing a show in Leeds. Feeling that this was going to certainly be one of 2015’s most exciting gigs for me, I snapped up a ticket and put the date in my calendar. For the fans of the Armenian piano colossus who read this it will come as no surprise to hear that the night did not disappoint. Whilst it would have been a treat to have seen Tigran in his regular post-jazz lineup, it was equally as pleasant to see a change in what I was used to hearing from him. 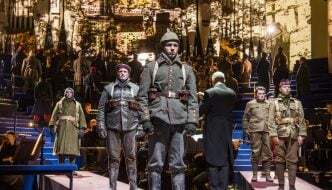 If anything, the choir lineup was refreshing, as it proved that he was capable of performing sublime and innovative art in a totally different musical situation. From the opening drone of the two bass vocalists, a feeling of pleasant melancholy haunted the air, and it didn’t leave for the whole concert. What followed was a calm (although sometimes chaotic) beauty. 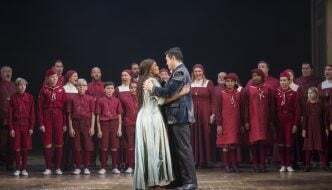 A particular highlight for me would be the flawless pitching and crystalline clarity of the lead soprano’s vocal performance throughout; she cut through the full choral texture without sounding at all piercing. 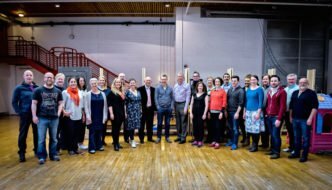 The overall timbre of the ensemble was perfect for the repertoire, with Tigran’s folk-inspired jazz improvisations fluttering across the ethereal landscape of the choir. Towards the end of the show the choir vacated the stage, leaving Tigran to perform a few solo numbers, of which the word ‘incredible’ does not even begin to describe. There is no doubt in my mind that this man is a world class piano player. If you haven’t heard Hamasyan play yet then I can’t recommend listening to him enough! The atmosphere of the concert was amongst some of the best I’ve experienced. The audience was respectful to the performers to the point where I could hear my partner’s breathing. Tigran and the Yerevan State Chamber Choir brought a fantastic show to Leeds, and in turn Leeds gave them a fine welcome, and deservedly so. All of the pieces performed (bar the ones that were played solo at the end) are available as a recorded release under the name Luys i Luso, which is sure to sate the aural needs of both fans of choral music and fans of Tigran Hamasyan alike, just as its live incarnation did on the 16th October.